If there’s one treat that embodies summertime to me, it’s strawberry ice cream. 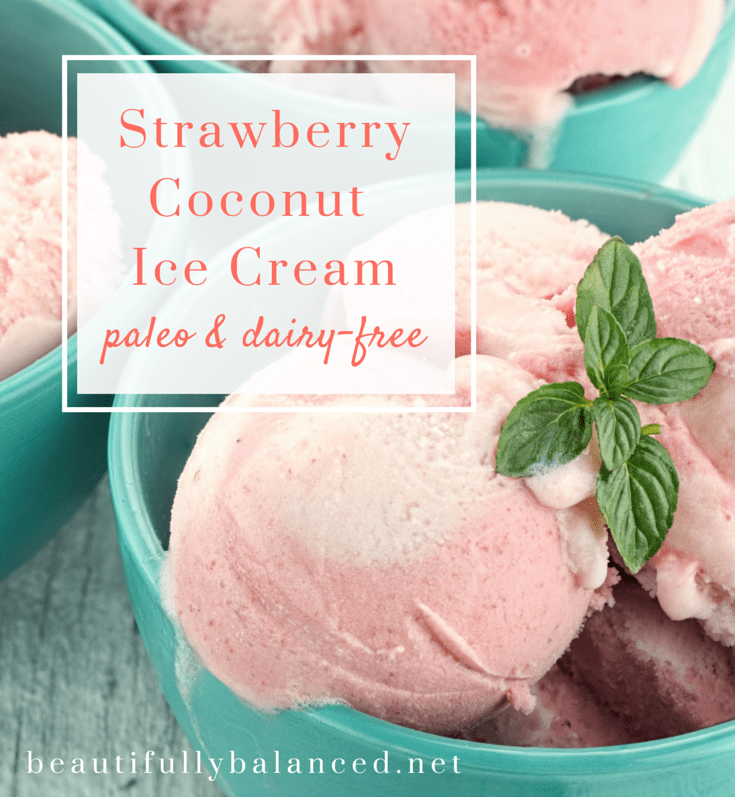 This recipe combines fresh sweet strawberries with full fat coconut milk to create a dairy-free treat that’s loaded with healthy fats (hello healthy hormones) and the many nutritional benefits that fresh fruit provides (such as gut-healthy fiber and an array of beauty-enhancing vitamins and antioxidants). Best of all? You’re only 3 ingredients away from your little scoop of summer. Want to make it fancy? Add 1 tablespoon chopped mint or basil leaves into the blender along with a small pinch of sea salt and sprinkle your scoop with toasted coconut chips. Mmmm….